Hello! I'm Erin from Decor Allure. I'm a Mom of six with a love of decorating. I love the challenge of trying to decorate for this crowd, yet budget-friendly. I love garage sales, thrift stores, re-painting, re-upholstering, and re-everything! 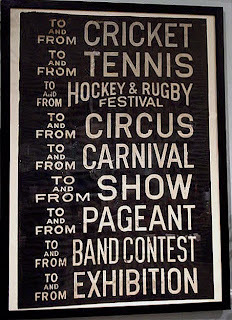 I have fallen in love with these vintage subway signs I'm seeing everywhere. But at prices like $785 for the ones from Restoration Hardware, it's out of the question. Here's what I did- I already had a frame that I had a piece of 1/4" plywood cut down to size for me at Home Depot (they do 2 cuts for free and many cuts for batted eyes!) I then painted the border with off white craft acrylic paint. After dry, I taped it off and painted my center black. Two coats later, sand down the whole surface until sufficiently "aged." Oooh, the possibilities! Try it! Just send me your signs for future inspiration. 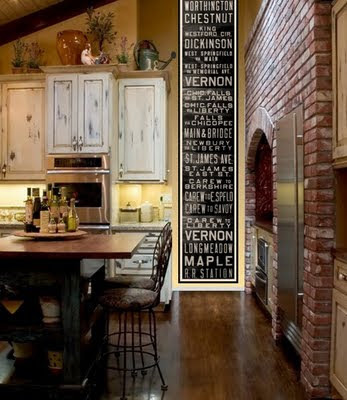 I love the family rules and the long subway signs that are in the kitchen. Trust me, though it is funny, I'll frequent your blog for decor tips and tricks! I love that you have a blog!!!! I am in love with my sign, everytime I see my stairs it makes me happy! Erin I am so glad you are doing a blog! You are so creative! Now I can keep up with everything you are doing!! I'm excited about your new blog! I just wish that you were here to do the projects together! I am so excited for your blog!! You have the best ideas! That's fantastic! 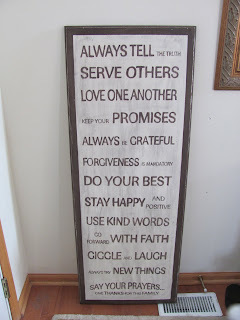 I love your fresh version of the family rules. This is just the best!! I love it! Stop by and check out my Easter napkin ring promotion and see some of my Easter Tablescape ideas. I love your spin on this. I'd been eying a similar sign on a website but it was $300! This seems so easy and doable. Thanks for sharing. Love it!!! I just made very similar to yours, but I put the fruits of the spirit on it! Love it framed!! What a great idea! Thanks for sharing. I became a follower and am off to check out more of your posts. Wow, if you sold these I would buy one. I love it! I guess I am going to have to try this. I LOVE this!! Thank you for the inspiration, I may just have to make one of these for our home. LOVE this idea! I just started a linky party over at my place- I'd love for you to feature this!!! Amazing - I have seen the subway signs too & having grown up riding the subways I would never spend that kind of $ - even if I could. You project looks AMAZING. I am a bit DIY challenged, but I would love to try... Thanks! I love it! Such a great idea and thanks for the tutorial. I want to do this! I am planning on doing it for our anniversary, with our addresses. Where do you get carbon paper? Is it at Michaels? Thanks. That is seriously cool! Love the style mixed with special things about your family. Very fun!! Carbon paper might be at Michael's, but I got it at OfficeMax, seen it in the office section of WalMart. Have fun! Thank you Erin! I'm so excited! I really love this idea. another one to add to my long list of things to do! Thanks for sharing!! 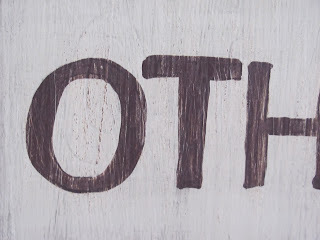 Do you mind sharing the couple of fonts that you have found to work best, as well as the font size? These are awesome! I have an old painting that I'm going to do this to - looks great!!!! I love your blog and stumbled on it through ASPTL... Thanks!!!!!! Just found your blog. I love this idea and will use it too!!! Thanks so much. I would love to buy one of these. Are you selling them???? Thanks so much! LOVE it! 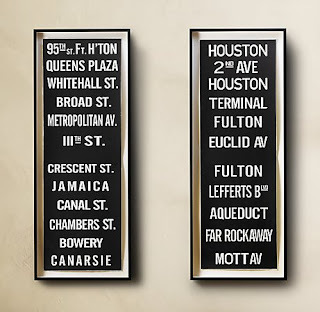 I am also in love with subway signs and want to make one instead of paying and arm and a leg! Found your blog from Tip Junkie. I wish I would have thought of this first! LOL. It looks fantastic! I _love_ your subway signs, and have linked to your idea on my blog (unless you would like me not to). I have an old door that I think would be great painted like this. Thanks for the inspiration! It loooks great! (And you're right, we are on the same wavelength....) Thanks for stopping by. Okay, that looks fantastic! I love your family rules. I kind of wish I could make one for my house, but I've already got my scripture piece in my living room. Maybe I could make one for upstairs. Thanks for posting on my scripture art. Oh my goodness! So cute! I like yours better than any of those super expensive ones anyway! Great job!!! 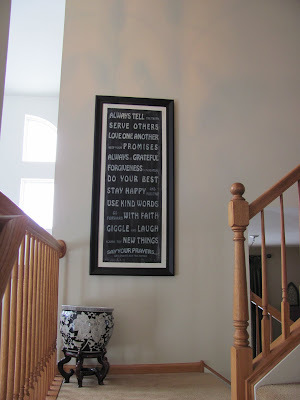 I stumbled upon your Family Rules sign and just loved it! I've done my own bus roll recently--I think they are great in decor! They have affordable signs and customization and shipping is free. Great post - and nice inspiration! I linked it to my "subway art" post, thanks! Hello there...I so love this..do you sell them? 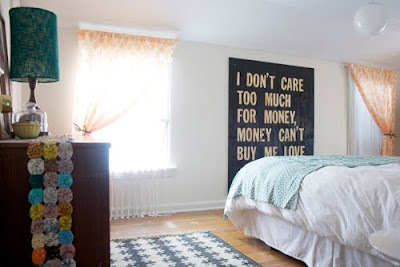 I found htis and I do not have a vinyl lettering kit or anything like that...would love to have this in my home...thanks! LOVE LOVE this!! I went to Home Depot to get one of the ready-made Pine Boards, but they didn't have anything like that. What are the dimensions of your signs so I can get some wood cut? I can't really tell how large they are from the pics. THANKS!! What size did you cut your plywood?